Conceived and choreographed by Bradley Lundberg, Erica Buechner, and Nikki Dunnan. Inspired by Art Produce's recent gallery dinners highlighting the work of exhibiting visual artists, Feast On This! transforms the dining experience into a visual feast of movement performance. 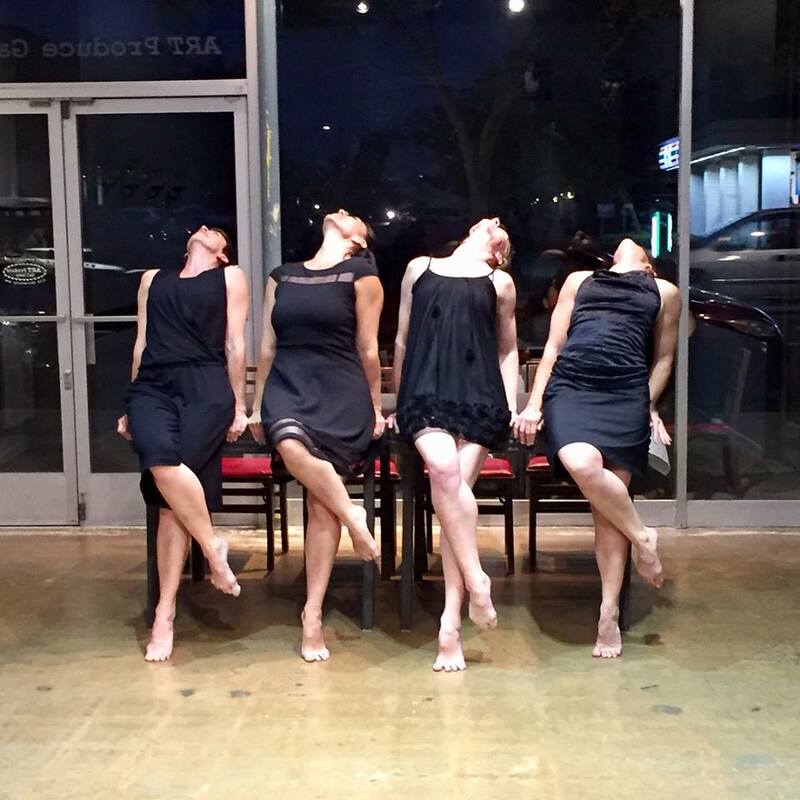 This 30 minute show features 8 professional San Diego dance artists: Blythe Barton, Erica Buechner, Nikki Dunnan, Andrew Holmes, Robby Johnson, Bradley Lundberg, Lara Segura, and David Wornovitzky. The Art Produce storefront gallery allows for unconventional presentation opportunities for artists and unexpected art encounters for viewers. Feast On This! is no exception. 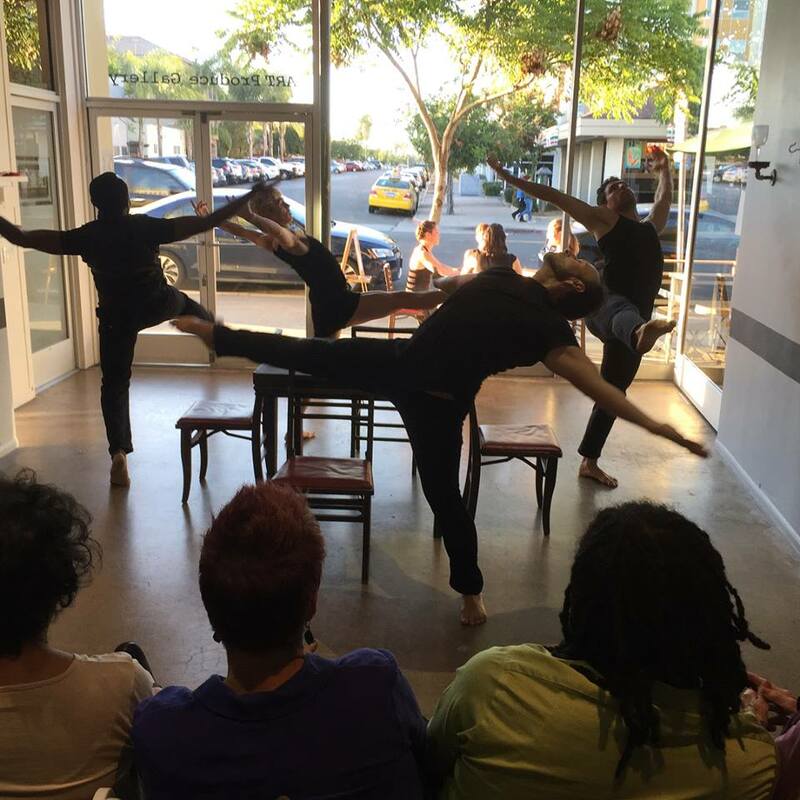 The work offers 20 audience members an intimate view of the performance from inside (ticketed seats) while passersby on the street have visual access from outside becoming an unexpected, and unpredictable, part of the scenery.